The world’s been getting us down lately. It feels like everything is slowly unravelling, a ball of string hurtling down a hill in painful slow-motion, everyone clutching the frayed end of the roll as if that were helping. The future is murky and uncertain. Amidst global crises and 24-hour rolling news, we’re taking Kool and the Gang’s advice. Parttheatre, part-dance party, part-funeral, CELEBRATION aims to give anyone who can’t quite believe the world they live in, something to believe in. This show was devised with the aim of creating an hour of joy, influenced by politically unstable times. It is a multimedia, devised two-hander, which takes influence from artworks, games, stories about monsters and made-up folk songs. 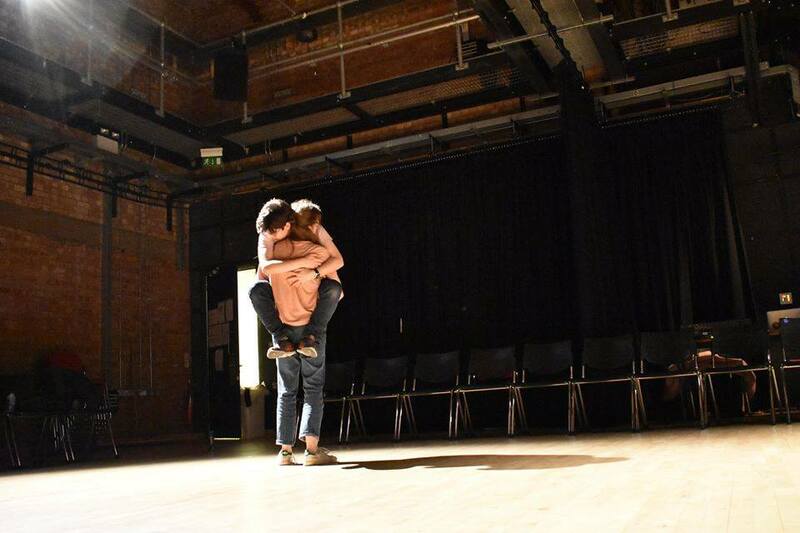 CELEBRATION was first performed in the Humanities studio in December 2016, with the support of IATL’s student as producer fund. We were invited to perform at the National Students Drama Festival in Hull in 2017, winning the Festgoer's Award, the Freckle Family Show Award, and the Sunday Times Playwriting Award. Ciara also received a commendation for best actress.